Aug 26 · Last update 2 mo. ago. Could compulsory foreign exchange student programs promote peace? Some countries have a forced military service program, could an obligatory international exchange student program nurture cultural understanding, fight discrimination and help promote peace? If so do you think governments should promote and increase exchange programs or directly fund them? The scale of long term exchange trips for all would be unworkable, but short to medium term excursions could prove to be more realistic. Current short term school trips are arguably more of a holiday with classes, than a true cultural experience. Medium term family hosting exchange programs could be more useful and rewarding, and foster the deeper cultural understanding that a shorter holiday-style trip would fail to come close to. Likewise other schemes could foster the same type of enriching experience, such as studying abroad for university. Such medium term programs are already underway, for example schemes such as the Short Term Exchange Program (STEP) in the US. Organisations such as this may be a cheaper solution with less of the complications of a yearlong foreign exchange trip, with a lower cost and less need for such a long time investment in such program. STEP is a familial exchange program, meaning that once the initial month long exchange period is over, the US exchange student and a child from the foreign host family return to the US and exchange the exchange student experience, with the original host families child staying in the US. The main problem with this idea is undoubtedly the cost. According to ExchangeStudentWorld.com most organisations charge 9-10,000 USD for a yearlong exchange student problem. For something like this to be implemented on a national scale, in much the same way as military service, the government would inevitably have to cover this cost. When you take into consideration the millions of students that go to school every year just in the US for example, the bill would be in the tens of billions. This is a cost few would be likely to want to spend so much tax on, but in its current form with individual families being able to fund individual trips, it is a much more workable scheme. Likewise there is no infrastructure in place to carry out such a large scheme; with such a large amount of students a extensive body of support staff would be needed. This means that the cost could indeed be much higher, but more worryingly would also increase the likelihood of oversight or errors taking place, and considering the vulnerable age of students this could in fact be a very dangerous idea also; this scheme is unworkable. Periods of time spent in other cultures would help any student foster a greater understanding of said culture and a renewed appreciation of the student's own culture of origin. What is more it would be a much more effective method at teaching students a second language, something that native English language speakers fall especially short on. Furthermore, the benefits would be bidirectional, the student’s presence also likely to foster some form of cultural exchange for the natives of the country they are staying in. 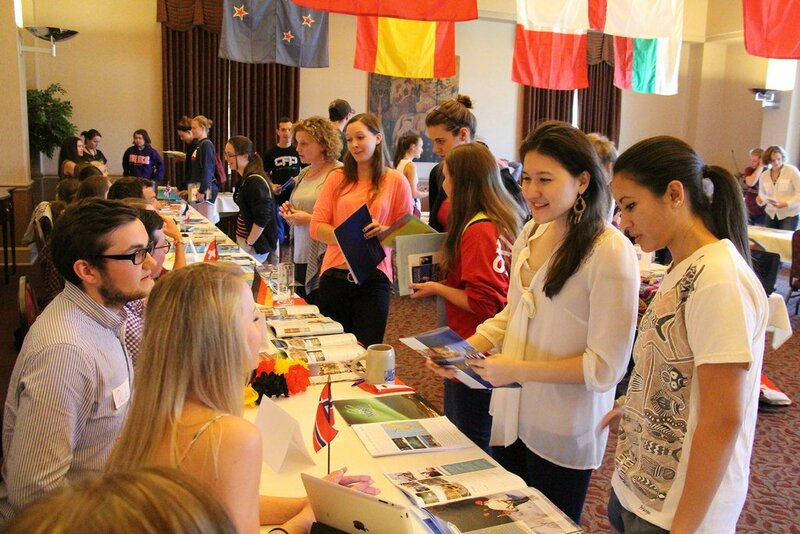 While the positive sides are various and indeed obvious, the main downside would be the massive expense in sending so many students on exchange programs. However, if you take the United States alone as an example, with a military budget of $696 billion in 2018, surely money could go into schemes to actually foster better international relations rather than further destroy the United States’ image abroad? Although some may argue that US military spending is somewhat justified, with departments of the military such as the pentagon making catastrophic accounting errors in recent years, money could possibly be stripped from departments that cannot account for it when audited, and put into more positive proposals.